pudina paratha recipe | mint paratha recipe | pudina lachha paratha with detailed photo and video recipe. 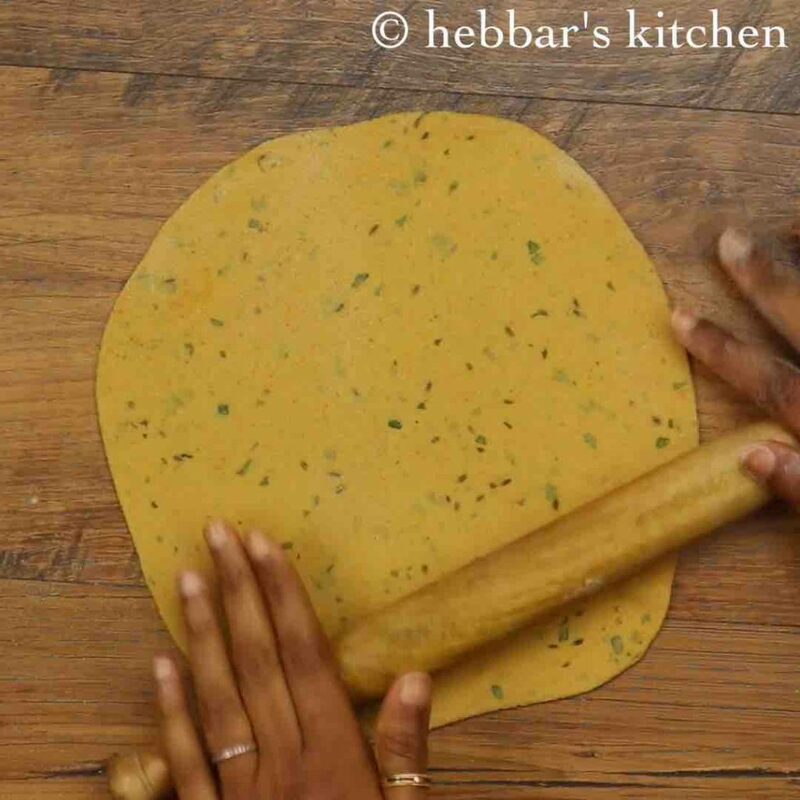 a healthy layered flat bread recipe prepared with mint leaves and whole wheat flour. unlike other traditional stuffed paratha recipe, pudina lachha paratha recipe is prepared by mixing the mint leaves with wheat flour dough. mint paratha is an ideal breakfast or lunch box recipe which also fits in perfect kids tiffin box for a quick snack. 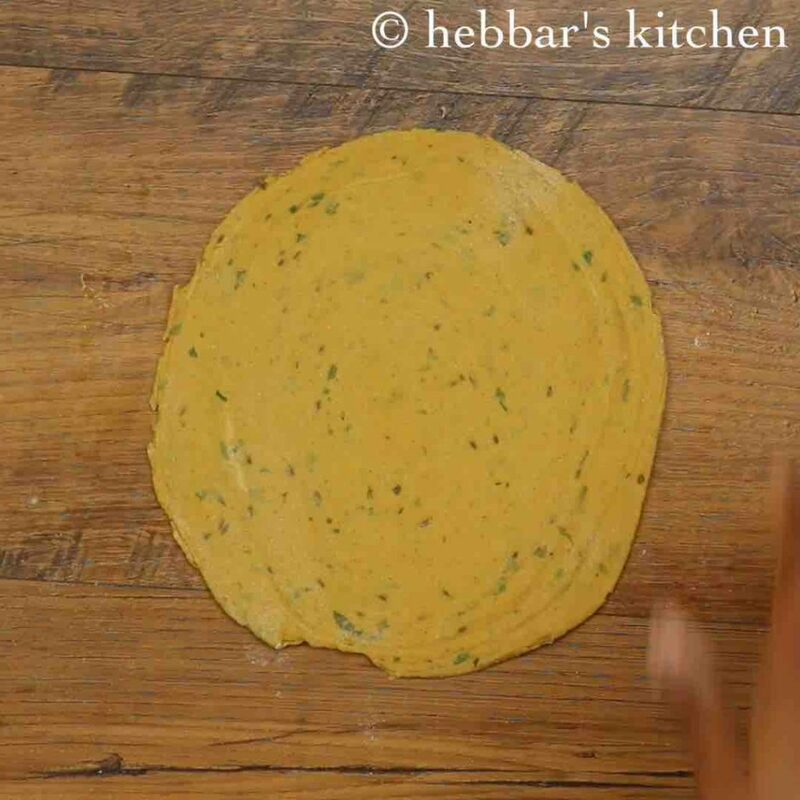 pudina paratha recipe | mint paratha recipe | pudina lachha paratha with step by step photo and video recipe. 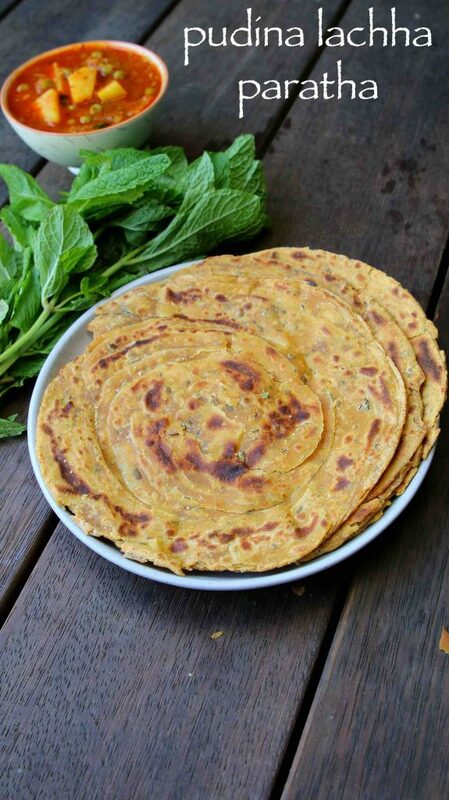 lachha paratha recipe are always a favorite paratha recipes because of its crisp, flaky layered texture. the addition of mint flavor adds an extra topping to this paratha recipe makes it irresistible and flavorful. 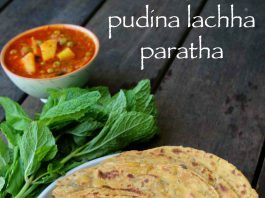 these pudina lachha paratha’s tastes amazing when served with choice of curries like paneer curries or north indian curries recipes. one of the major concern for me on a day to day basis is to cook healthy and easy dishes for my husband’s lunch box. 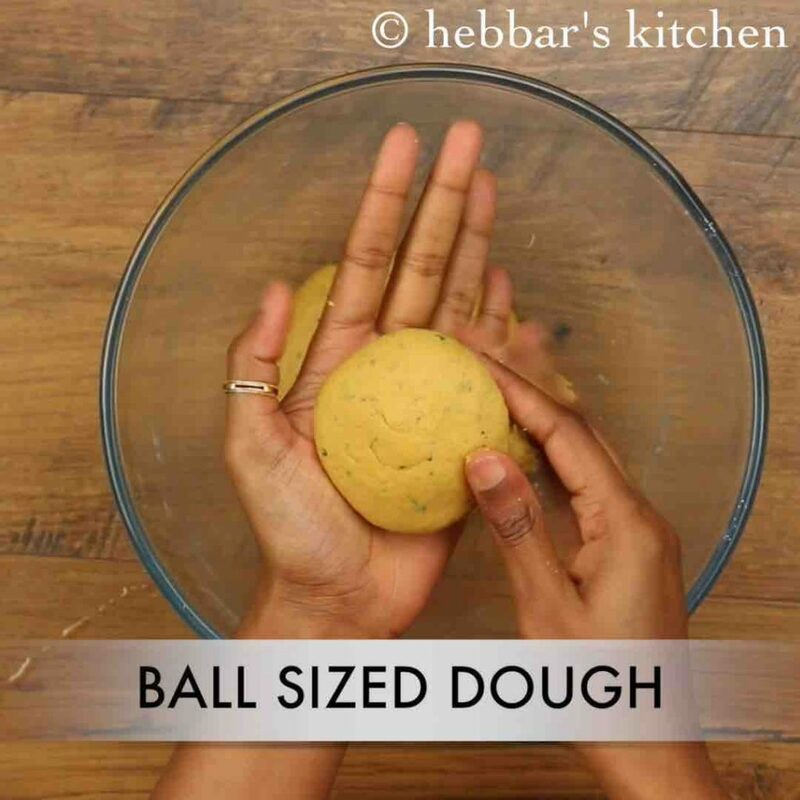 it must be also a quick recipe so that i can prepare it easily during those busy mornings. pudina paratha recipe is one such easy recipe which i always fall back if i do not get another better ideas. even though i always prefer to have rice based recipes for lunch as you need more carbs during day time. yet mint paratha recipe should be equally nutrient when consumed with proper curries. i personally like to to be served with aloo matar recipe, or with paneer curries which should make it a balanced diet with protein and fibre. having said that it also tastes great with just mango pickle or any other choice of pickle recipe. 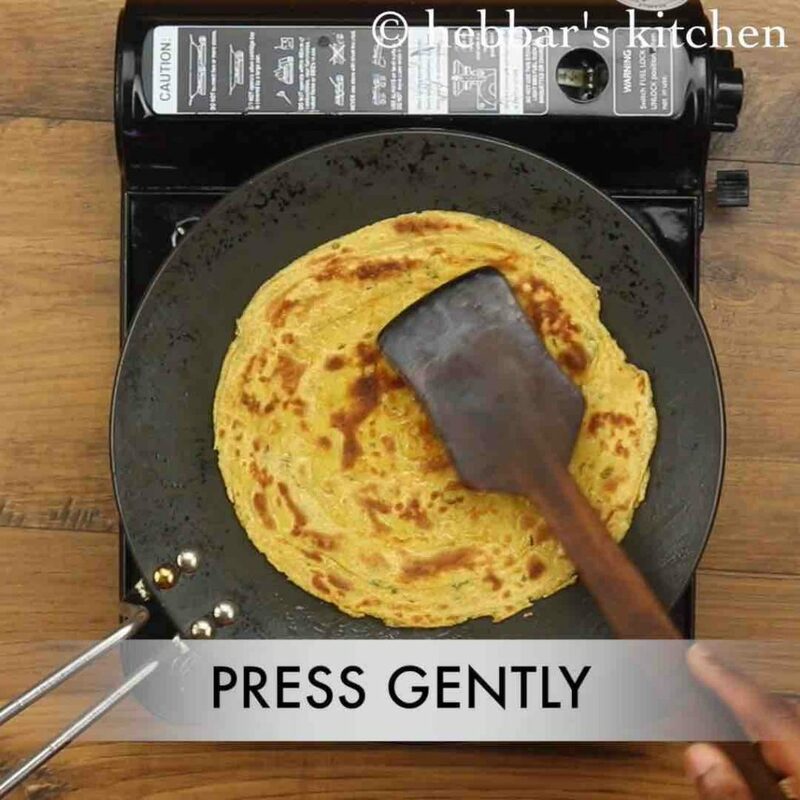 some easy variations and tips for a perfect lachha pudina paratha recipe. 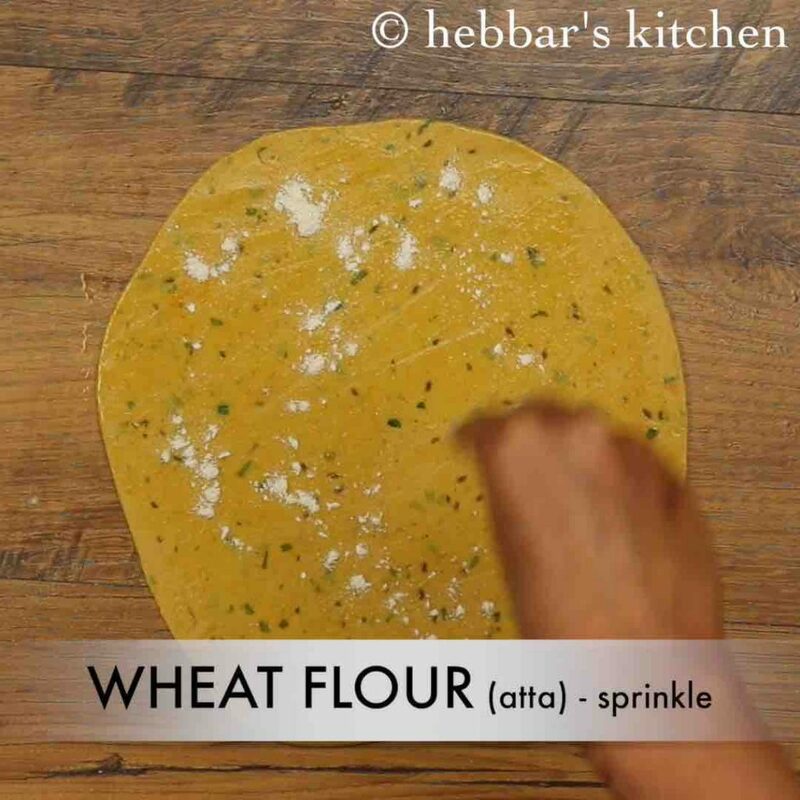 firstly, i have used fresh mint leaves to mix it with the wheat flour before kneading the dough. the same process can be done with dry mint powder and mixed with atta. 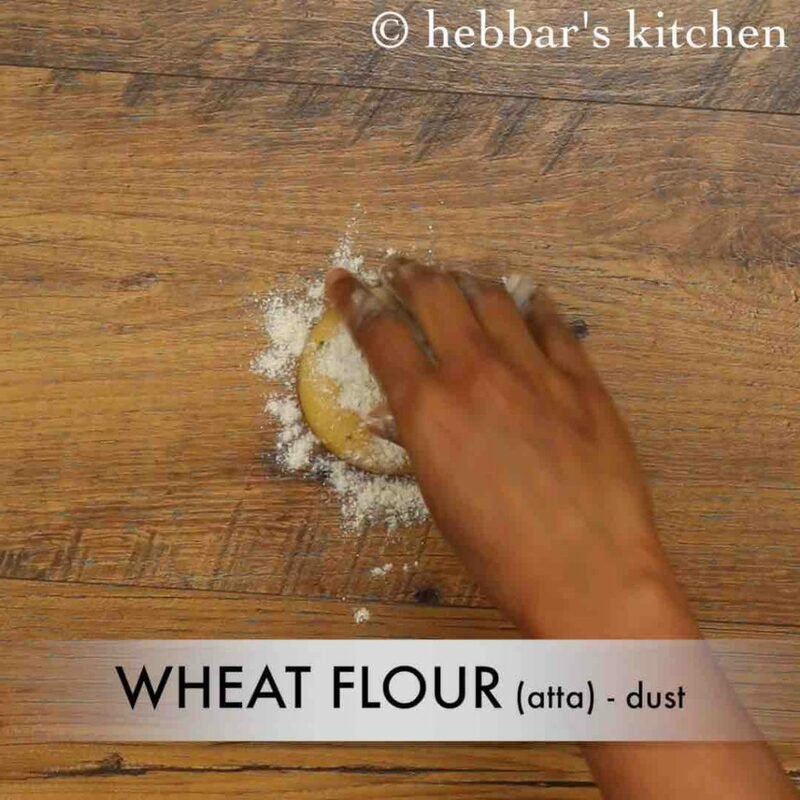 secondly, make sure to finely chop the pudina leaves before adding to the whole wheat flour. 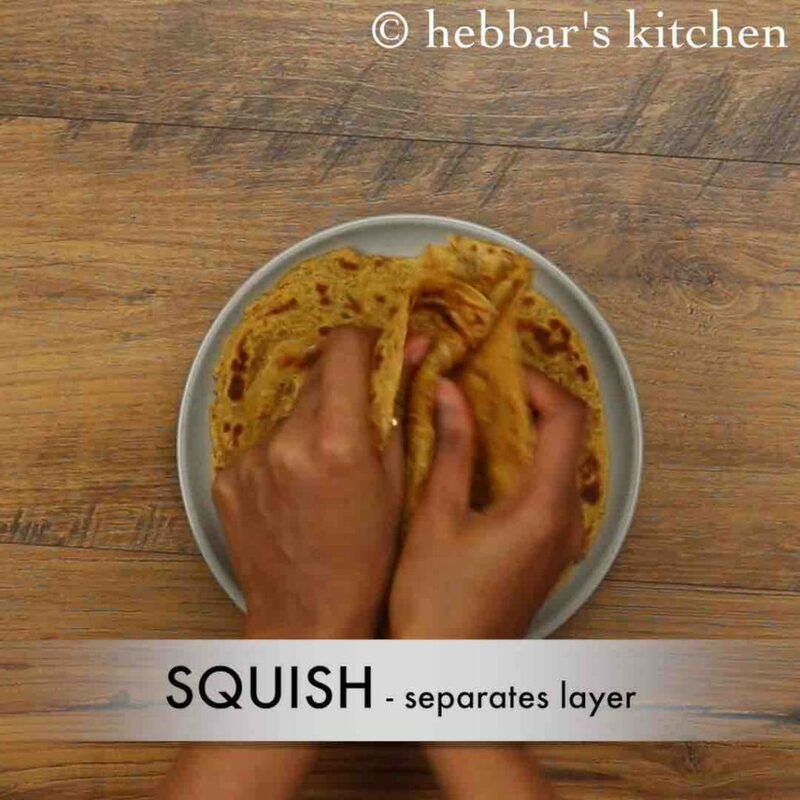 otherwise, you may not be able to knead and roll i thin before making it layered paratha. 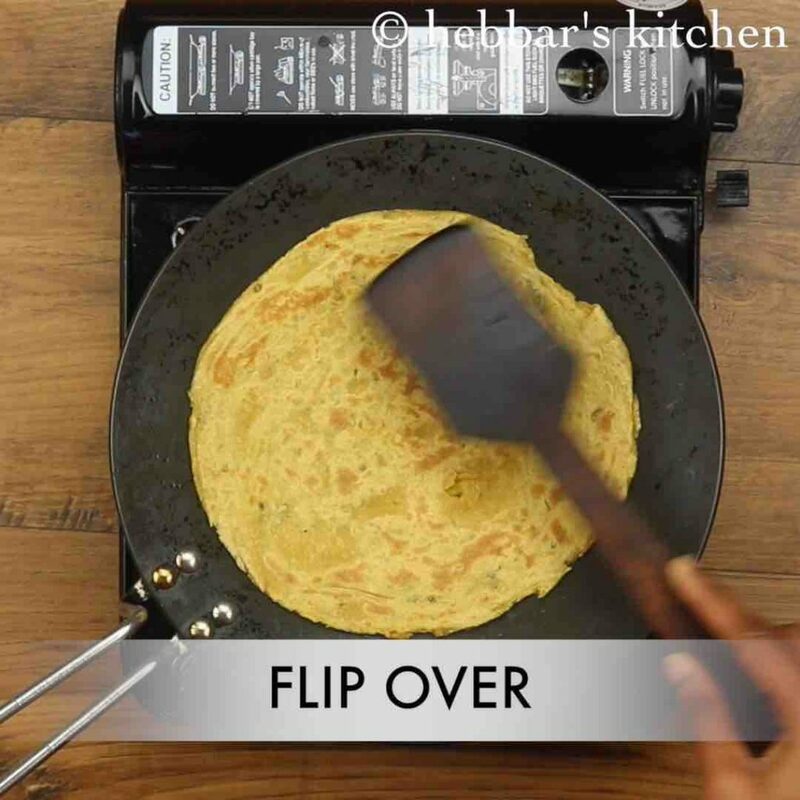 lastly, if you are short of time than you can totally skip the lachha paratha step. 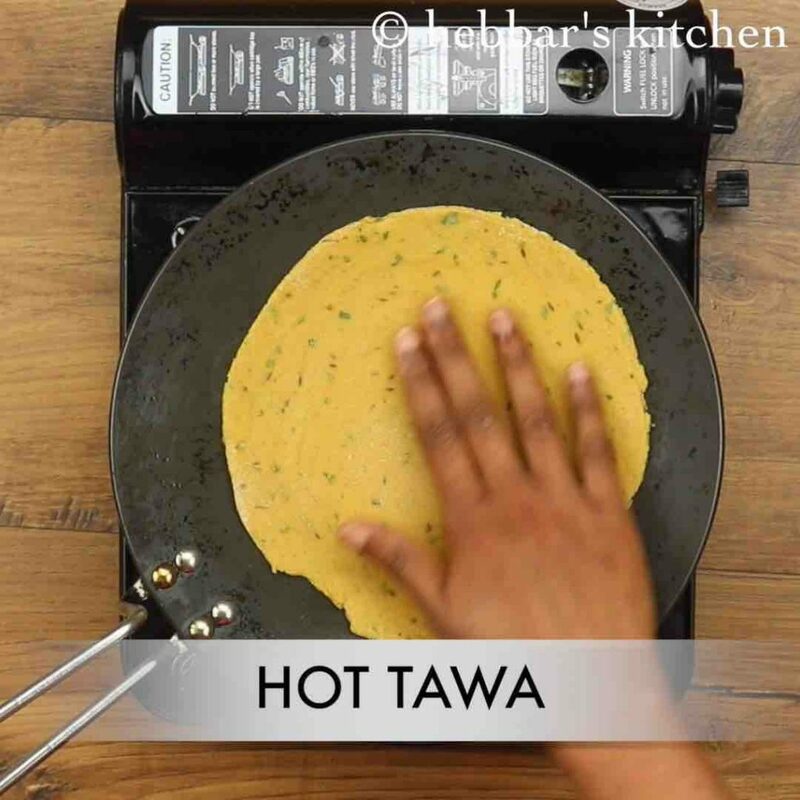 you should be good by just rolling it to thin paratha and then frying it directly. 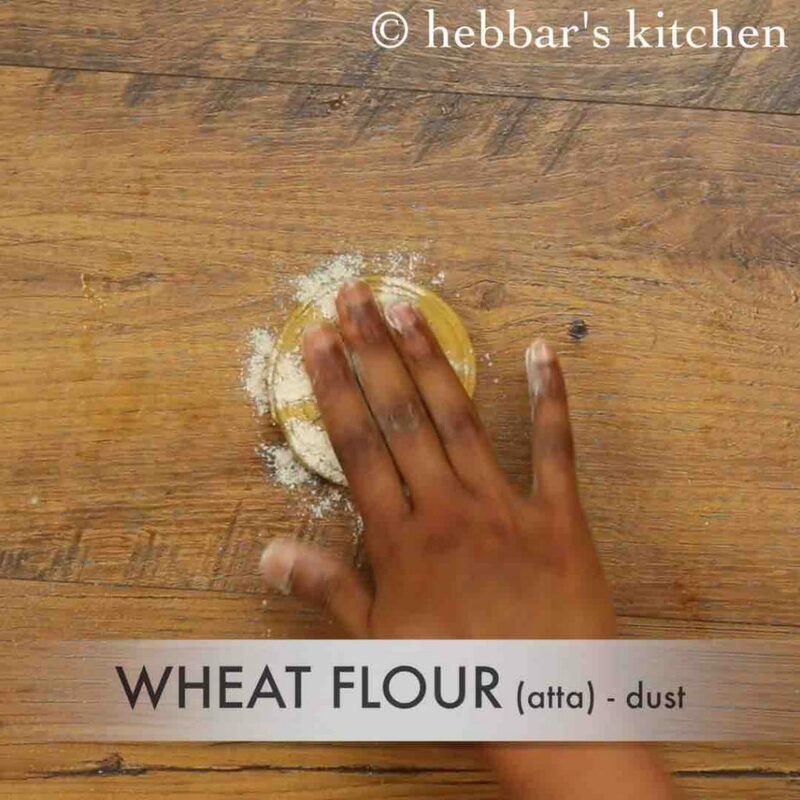 firstly, prepare dough mixing all ingredients listed above. 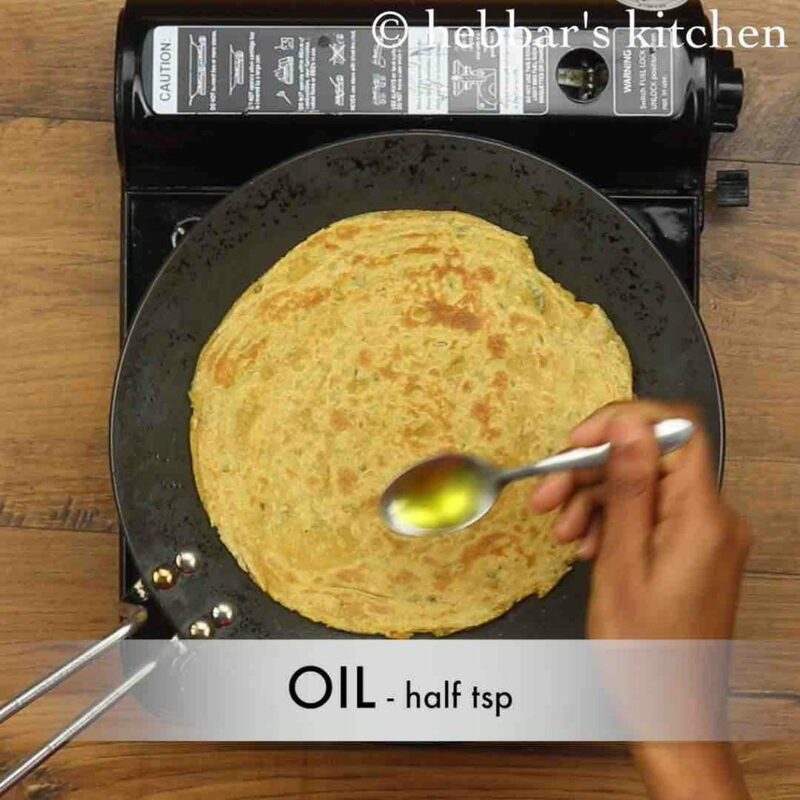 grease the chapathi with oil and sprinkle wheat flour over it. this helps to get flakey layers. 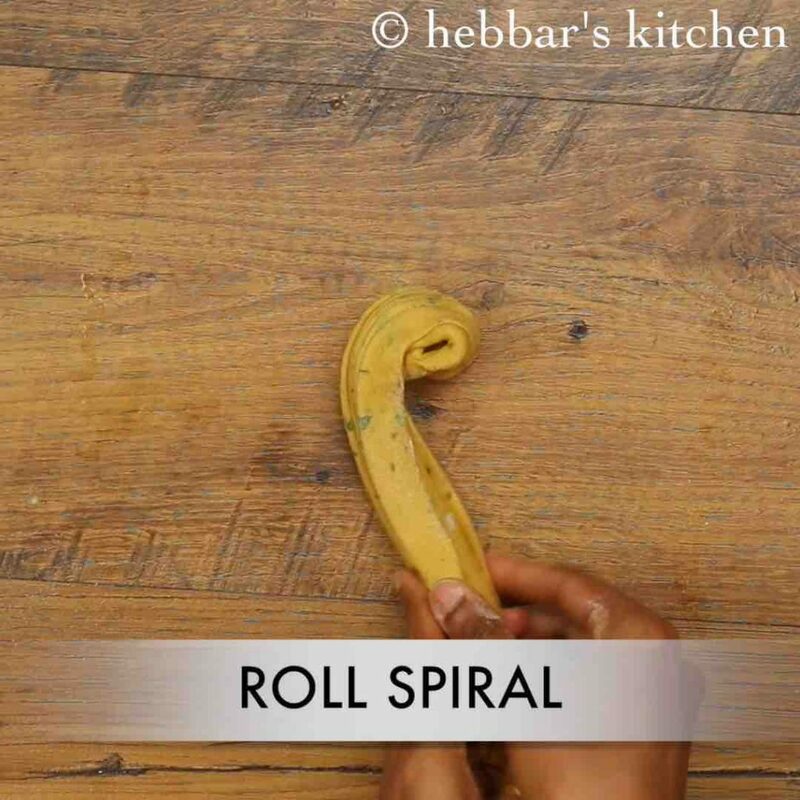 and start rolling to a thin circle. do not roll too thin as you wont be able to enjoy the layers. finally, serve pudina paratha immediately with aloo matar or any curry of your choice. 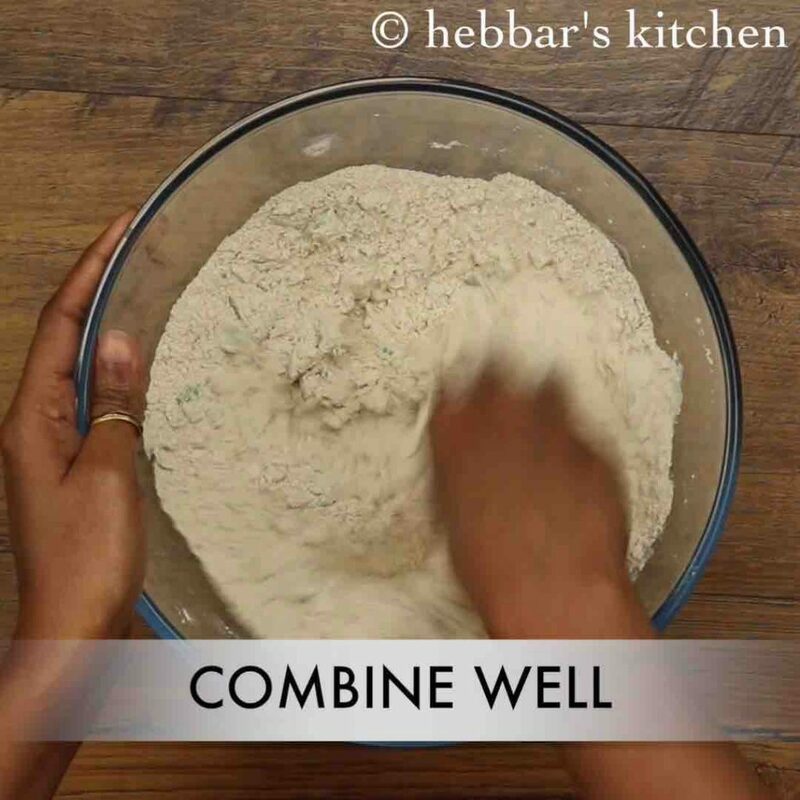 firstly, in a large mixing bowl take 2 cup wheat flour, ¼ tsp turmeric, ½ tsp chilli powder, ¼ tsp coriander powder, ¼ tsp garam masala, ½ tsp chaat masala, ¼ tsp pepper, 1 tsp cumin, 1 tsp ginger paste, ½ tsp salt, 2 tsp oil and ½ cup pudina. 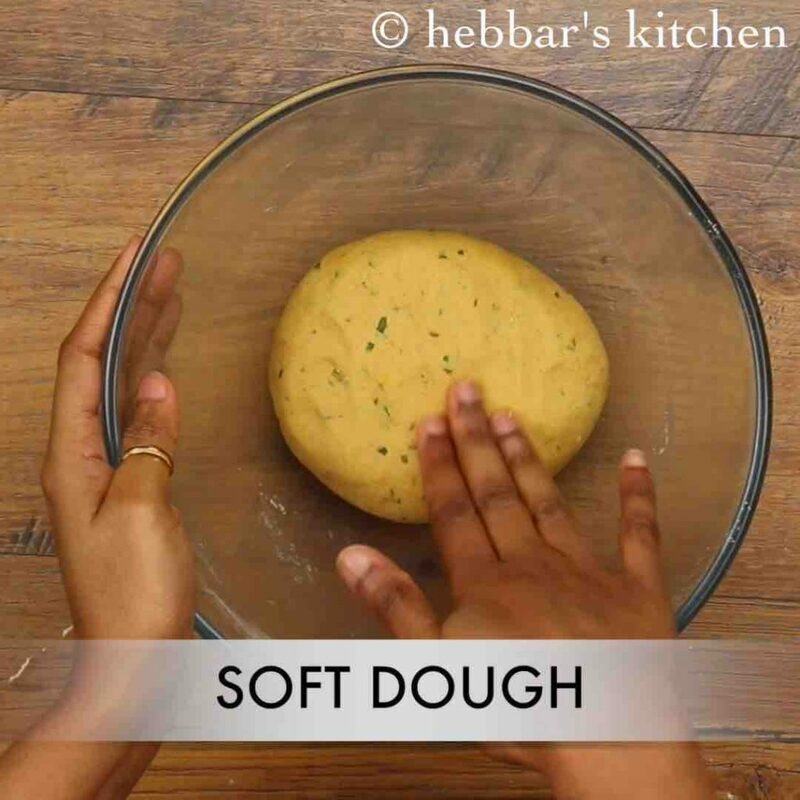 now add water as required and prepare a smooth – soft dough. 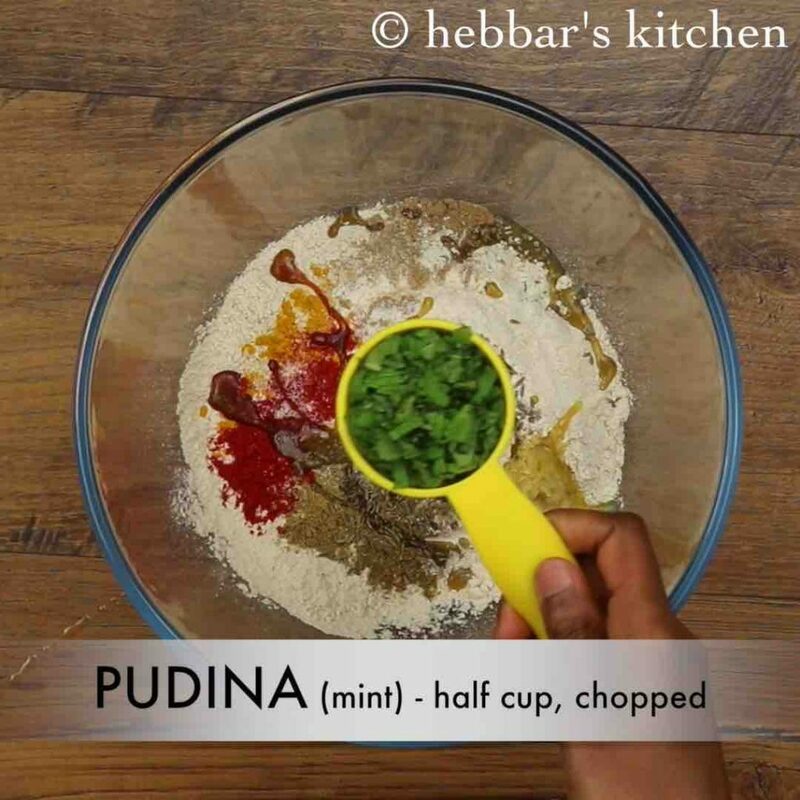 firstly, finely chop pudina for more flavours and uniform distribution into paratha. also add finely chopped green chilli to the dough, for more spicy flavour. 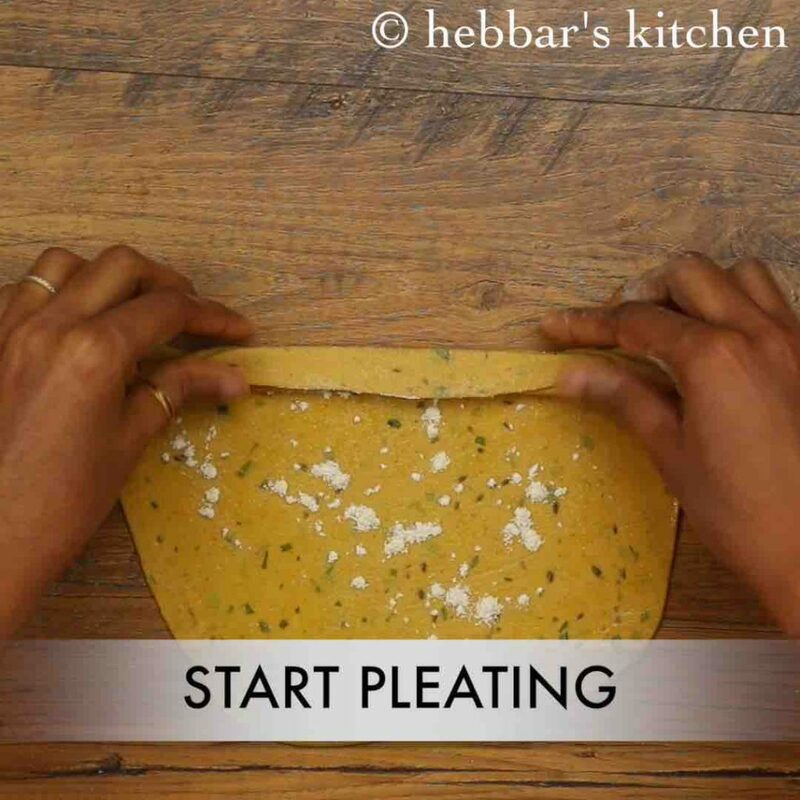 additionally, preparing layers is optional, pudina paratha can be just prepared like chapathi. 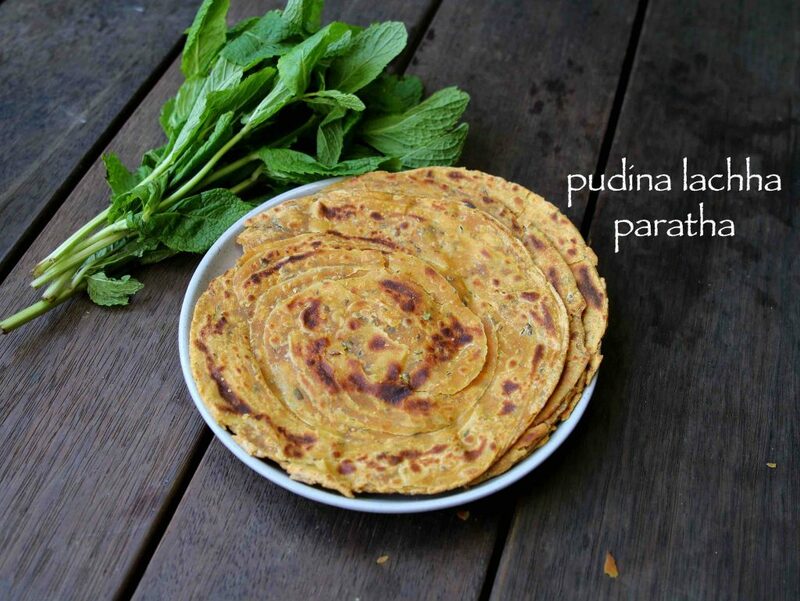 finally, pudina paratha taste great with curry or pickle.